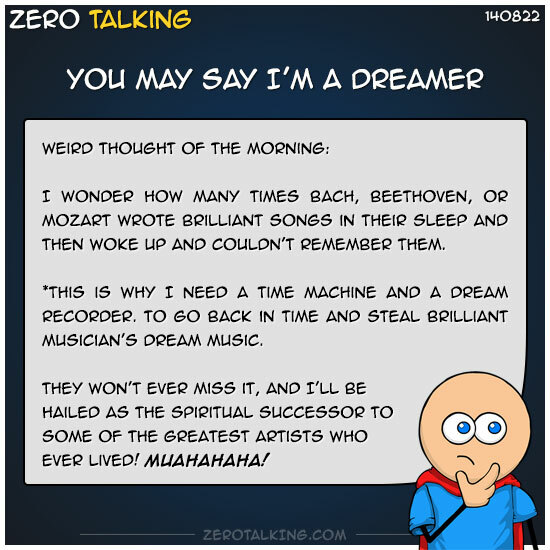 I wonder how many times Bach, Beethoven, or Mozart wrote brilliant songs in their sleep and then woke up and couldn’t remember them. *This is why I need a time machine and a dream recorder. To go back in time and steal brilliant musician’s dream music. They won’t ever miss it, and I’ll be hailed as the spiritual successor to some of the greatest artists who ever lived! Muahahaha!